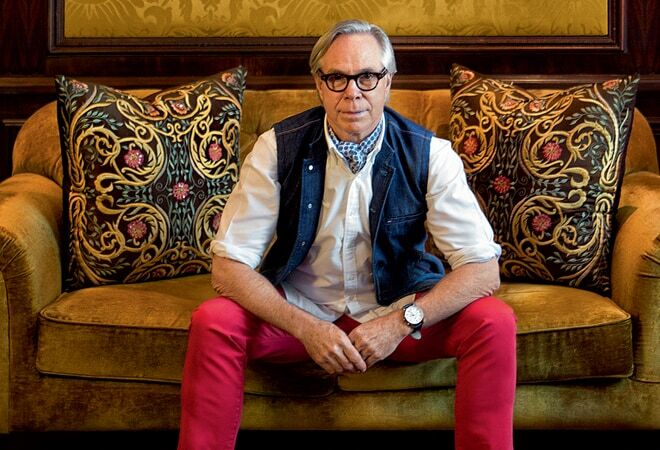 Tommy hilfiger may be a lot of things, from maverick designer to fashion consultant on American Idol, but few know him as a direct descendant of Scottish poet Robert Burns. Nonetheless, there is undeniably an element of poetry in his creations, something that has elevated him to a position of prominence in the world of wardrobe choices. Hilfiger shares the true meaning of luxury, the importance of time in his busy life, and his personal connection with India. We make watches that are modern and capable of being paired with various kinds of looks. You can pick our watches depending on what you plan to wear. And just like our clothes, our watches are luxurious but competitive in pricing. I believe an oversized face is very important for your watch. For instance, my 10th Anniversary Limited Edition, being a chrono, is thick in size. The watch takes inspiration from the air force, and its complicated dial is truly eye-catching. It also has a crocband, besides an engraving on the back that has my message for this beautiful country: "Tommy Hilfiger loves India". India and I go back a long way. My first ever designs came out of here, and I have been making trips to this land for as many as 35 years now. I love the people here, the food, the smells, the fabric and the colour. When I first launched my brand in this country, Indians weren't too familiar with designer brands. Today, the same people have embraced my work and helped it grow exponentially. Sonam Kapoor is one celebrity whose dressing sense I've admired. She always carries herself with such elegance, it's a treat to the beholder. Most of the stars in Bollywood have also upped their style quotient. The Indian fashion industry is moving, and moving very fast. Indian designers have a lot of things going for them. After all, the most beautiful fabrics are made here. Silks, embroidery, patterns... there's a lot for you to work with. What's more, Indian designers are making a big name for themselves globally. Just look at designers like Naeem Khan and Prabal Gurung. They are fantastic and have carved a niche for themselves. Today's youngsters live on the Internet, and I must say it has blurred many a political border. As a brand, we have not differentiated between Indian buyers and others. Times are changing, and no brand is country-specific anymore. In this age of global brands and citizens, trends from across the world are welcome. Personally, I want to bring to Indian consumers exactly what I'm offering to others. Our consumers are, in a sense, the same no matter where they come from.